As trees in Happy Valley turn to their red, orange and yellow hues, our heartwarming comfort food comes out in a big way. Cooler weather brings out the best in a vast array of produce from apples to pumpkins and squash, and there is no shortage of baked goods and hearty slow-cooked dishes popping up on local menus to take advantage of that fact. From the apple pie at The Tavern to the American Alehouse’s jambalaya, there is no shortage of flavor in town. To help you chase away the chill and perhaps discover a new destination, we are going to revisit some of the best Happy Valley restaurants for classic comfort foods like soup, chilis, pies and all the rest. This is just a small taste of all the flavors available this fall and winter in Happy Valley. The combination of local ingredients and international appeal means we truly have something both unique and familiar for all palates. Staying warm never tasted so good. Southern hospitality and seasonal menus make Gigi’s a dining experience worth revisiting again and again. Their “Local, Seasonal, Southern” motto shows in their dishes and makes for a vibrant menu in the colder months. A highlight is the Bourbon Street brunch, which is complete with the usual suspects for a brunch menu with the addition of some genuinely exceptional small plates including pommes frites, biscuits, pecan pimento dip, fried oysters and much more. Whether you are looking for something substantial early in the day or trying out the one-of-a-kind approach to shrimp and grits and Louisiana gumbo, the flavors at Gigi’s are something you simply have to try for yourself. Open seven days a week typically 11am to 9:30pm. 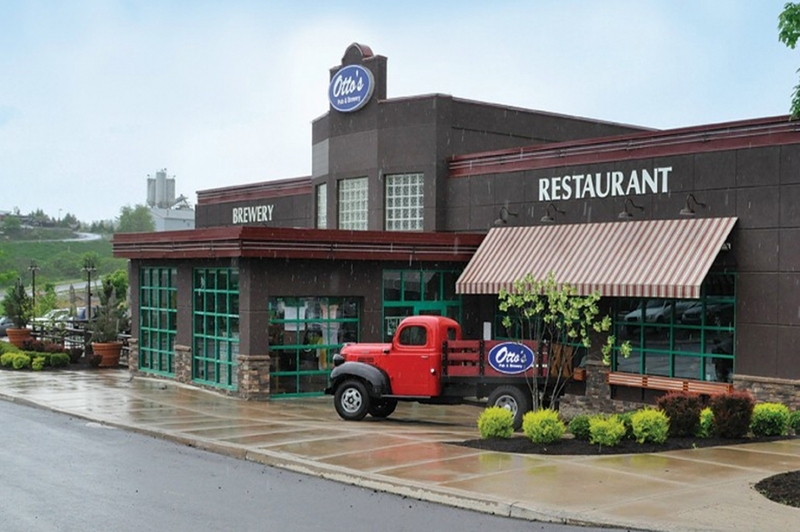 A Penn State tradition since 1931, the award-winning Nittany Lion Inn Hotel and Dining Room isan incredible spot for a Steakhouse style dinner year-round. The Inn’s premier steaks are coupled with Wine Spectator’s 2018 “Best of” Award of Excellence in Wines. If you are looking for something seasonal, there is also a large selection of items ranging from pan-seared crab cakes to chickpea and kale stew to lobster bisque. Plan your next event or make a reservation for The Dining Room. Open daily for breakfast, lunch, and dinner from 6:45am to 9pm. Less than two miles from Beaver Stadium with live music most nights, the American Alehouse is a favorite place to dive into the local culture. The menu is inspired by the best of each season: jambalaya, seared scallops, baked potato soup and so much more. Modern cuisine with fresh ingredients and arguably some of the best seafood in State College, the American Alehouse & Grill is a delicious choice for either lunch or dinner. They are open 11am to 10pm on most days. Otto’s is continually updating their menu to meet the tastes of the season. They ensure the richness and quality of these flavors by working with their company farmer and other hand-selected local produce and livestock. Guests are often offered a seasonal dish whose ingredients just came out of the ground that morning. Otto’s features unique dishes nearly every day. Previous recipes include a sauteed portobello and fried green tomato wrap as well as a asiago and heirloom tomato flatbread. With a dynamic menu and specially chosen local ingredients, it’s no surprise Otto’s is touted time and again as a local favorite for every season. Bistrozine is a relatively new Asian fusion restaurant with an emphasis on appetizers and desserts. It is perfect if you are looking to try something new. The cheese me up ramen and chocolate lava cake are guaranteed to warm your soul on a chilly day and are merely highlights in a more substantial menu that offers an excellent range to your choices in Happy Valley. Looking to really switch it up? 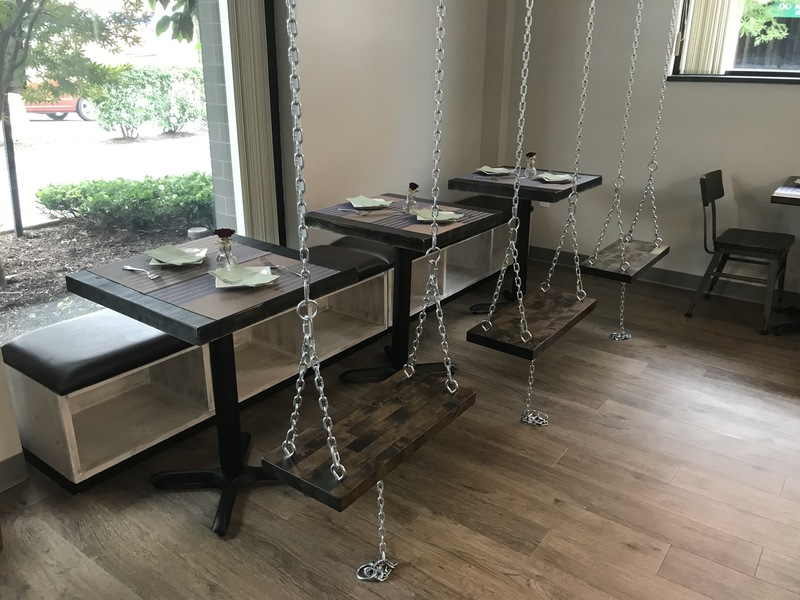 Some tables have indoor swings instead of traditional chairs! Their dessert list is something special with choices ranging from avocado affogato to red velvet with cream cheese sauce. Another sweet highlight is the “Autumnlicious” dessert: layered strawberries and lemon pound cake with marshmallows and cheesecake, with a side of vanilla ice cream (and it looks like a cute little flower pot). So when your sweet tooth starts aching, Bistrozine might be your new solution. Open seven days a week typically 11:30am to 10pm. 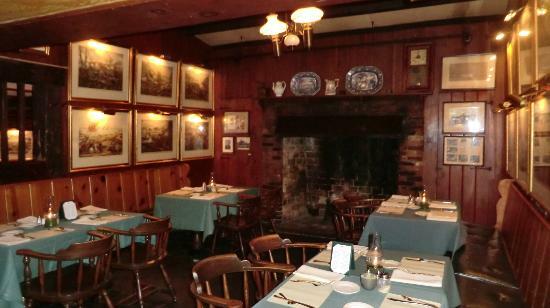 The Tavern is layered with prints of Pennsylvania’s past and puts on a show of being rooted in the cultural landscape with their affinity for our history. It is their apple pie that really makes them a Happy Valley icon. Made fresh daily with a chopped walnut and sugar crumb crust, there is almost nothing more seasonal than a slice of warm apple pie, and arguably no one does it better out of the home than The Tavern. In addition to pie, The Tavern menu changes daily as the chef chooses the "best of the freshest" for each evening. This means that dishes are crafted to make the very best of this season's flavors. You can usually expect outstanding seafood, pasta and prime rib. The Tavern is open for dinner all week around 5pm to 9:30pm.